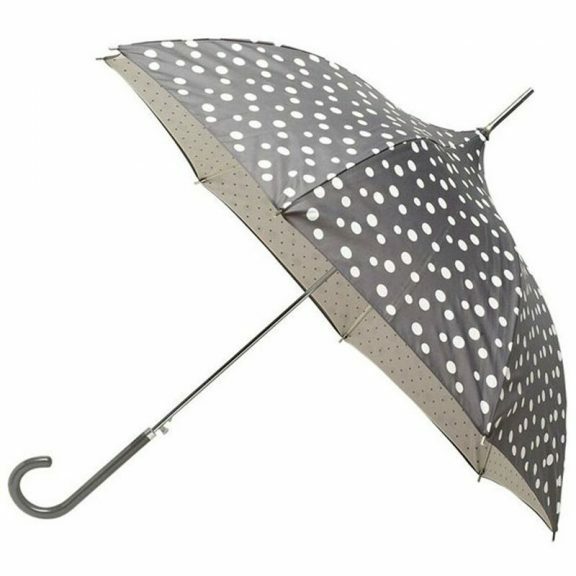 Introducing the grey bubbly dot pagoda umbrella! 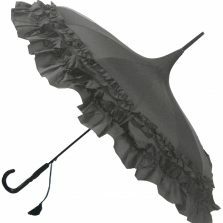 This is a very distinctive and stylish ladies pagoda umbrella. Why not check it out for yourself? There’s something tasteful and yet fun about this elegant grey spotted umbrella. 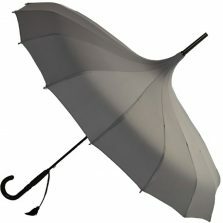 It’s a grey automatic push button opening ladies fashion umbrella with lots of bubbly dots all over the canopy. 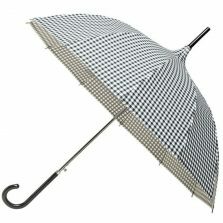 Full length ladies pagoda style umbrella. Grey canopy with cream bubbles/dots. Also features an elegant colour coordinated fabric covered crook handle. Chrome steel shaft, top spike and rib tips. It features an automatic opening steel frame with fibreglass ribs. Overall length 90 cm, canopy width 90 cm. Not the one for you? 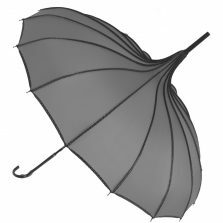 Click here to check out the rest of our range of quality pagoda umbrellas!